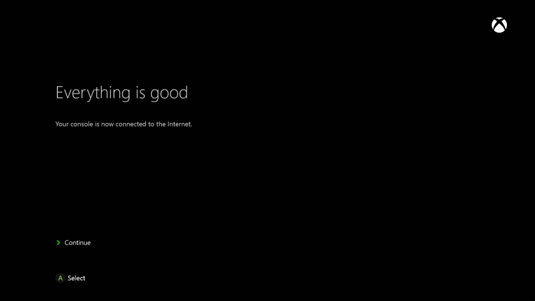 Xbox One uses your Internet connection to do all kinds of things, even when you are not playing games. It will use it to check for updates, to display content, to log in to Skype and many other activities. 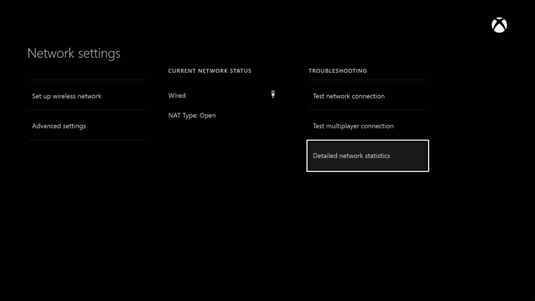 When you play multiplayer games, it is critical that your Internet connection works well and that no ports are blocked by your network’s router. Here’s how to test whether your Internet connection works well, whether you will be able to play multiplayer games and how fast your connection actually is. Turn on Xbox One and sign in. Then go to Settings. Here you will find lots of categories of settings. Select Network. 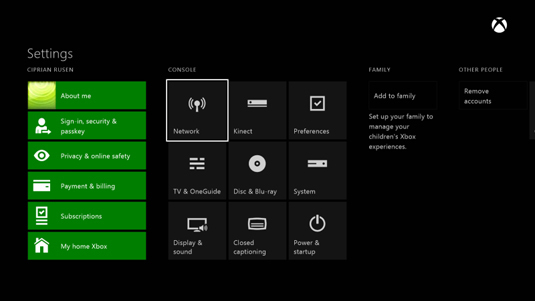 The Network Settings screen is displayed. In the middle you will see the current network status: whether you are connected to the network and what kind of connection you are using. 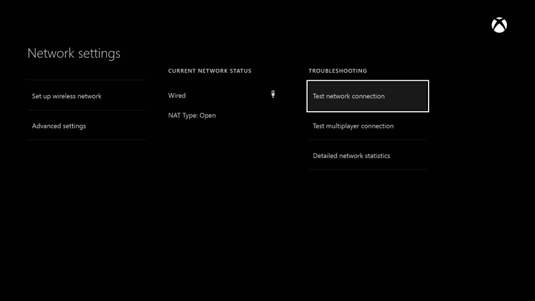 In the Network Settings screen, select Test network connection. Xbox One tries to connect to the Internet. If the connection is successful, Xbox One lets you know. 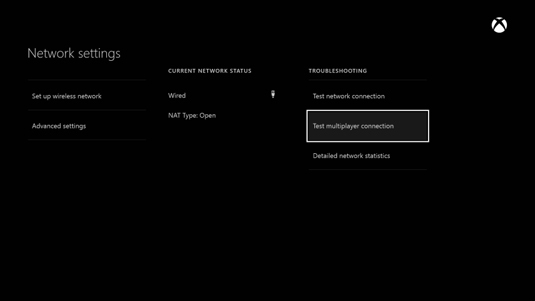 Select Continue and then Test multiplayer connection to test whether you will be able to play multiplayer games without connection issues generated by ports being blocked and so on. Xbox One tests your connection and then displays a summary of its findings. If all is well, select Continue. If Xbox One detects problems during any of the tests you make, follow its recommendations in order to fix your problems. 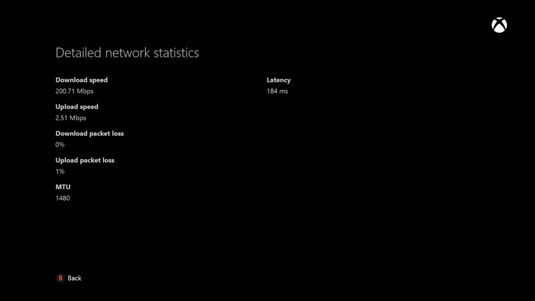 In the Network Settings screen, select Detailed network statistics. 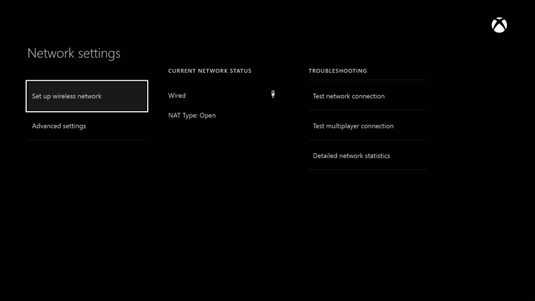 Wait for Xbox One to test your connection. When done, your Xbox displays all the statistics it measured. If you see problems, hit the Back button and try to fix them. Problems may be generated by Internet connections that are slow or unreliable or by a misconfigured router. If you experience a big percentage of packet losses or slow download speeds, see if the Quality of Service (QoS) is enabled and configured correctly on your router, so that it prioritizes the network traffic in a better way. If you don’t know how to fix your issues, write down the results of this test and talk with your Internet service provider (ISP). They should be able to help you out.